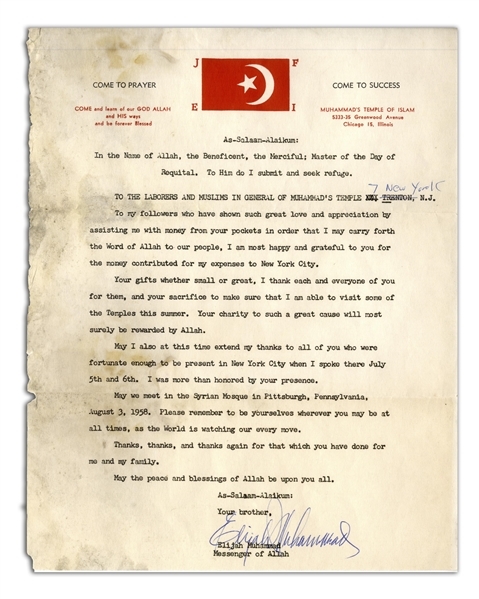 Elijah Muhammad document signed, on Nation of Islam stationery. 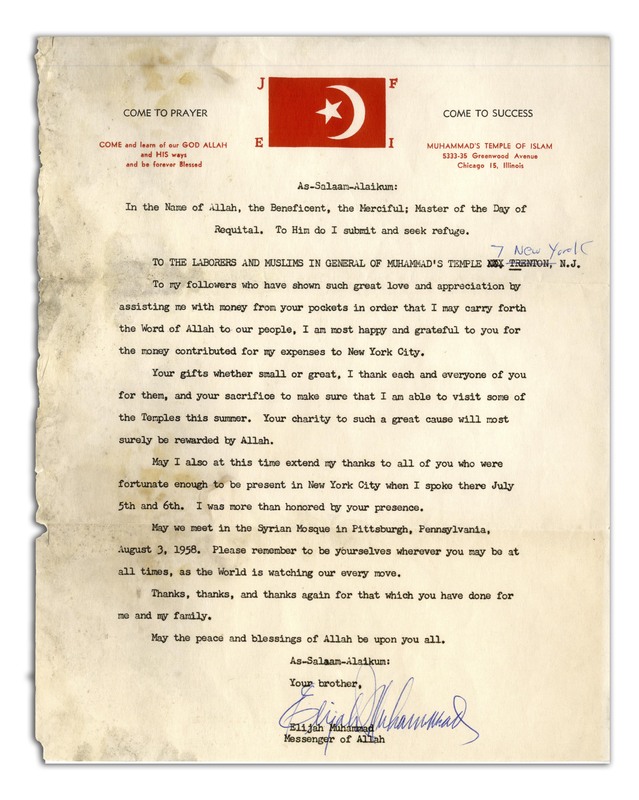 Signed ''Elijah Muhammad'' at the bottom, letter thanks New York members for their contributions to allow Muhammad to visit the Nation of Islam temple in New York City in the summer of 1958. Letter measures 8.5'' x 11''. 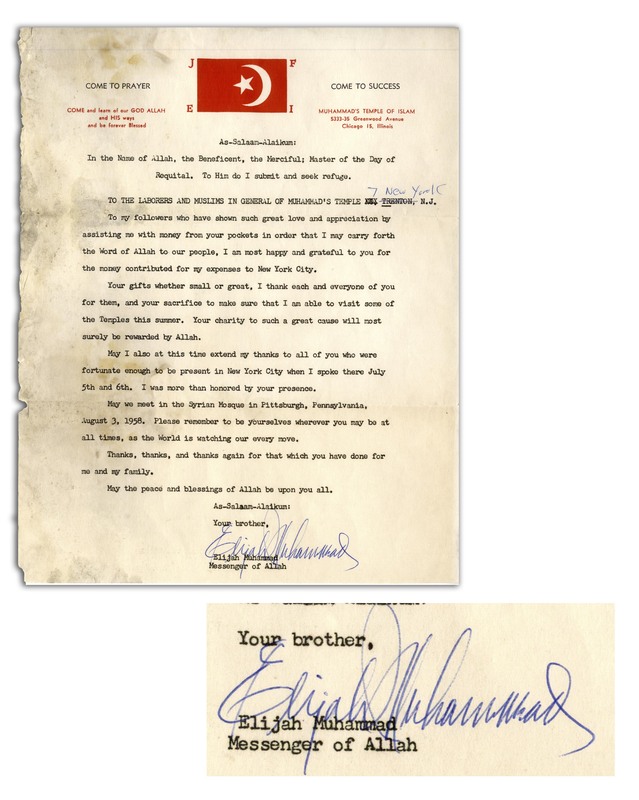 Some dampstaining, especially to left edge, overall in good condition.